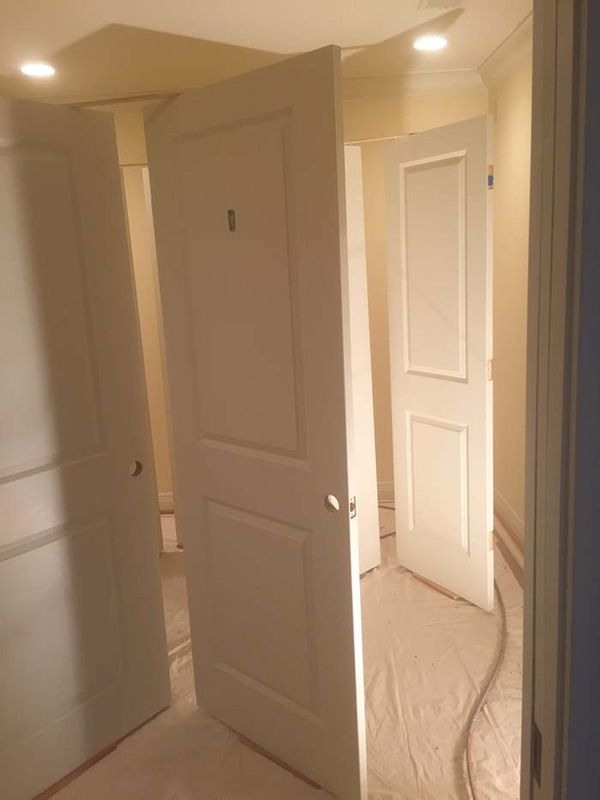 Spraying in your home for a Fine Finish. We did a painting project in the Clayton, Mo area this week. 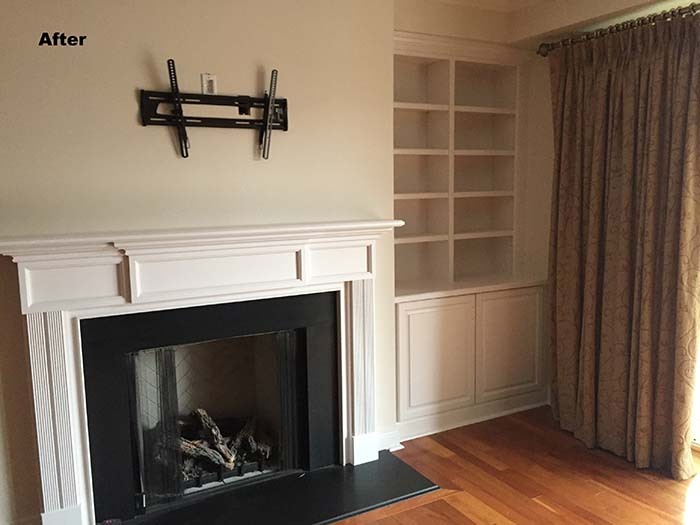 There were some stained built in cabinets, a fireplace surround, and interior doors that needed a sprayed finish. WeThe crew built a spray booth with plastic and drop clothes so we could spray on site. The doors were labeled, removed, then sprayed, then all of them were rehung. They turned out great with a smooth finish. 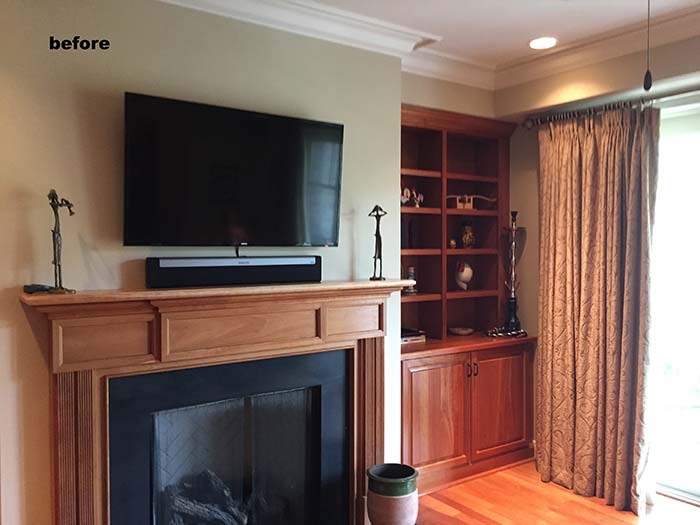 Call us for your next project in the St. Louis area at 314-757-6973.
fine finish, interior painting, spray painting, spraying, spraying trim. Bookmark. You obviously know what you are talking about!